The Command™ Tall Pressure Gate is the perfect fit for room openings, hallways and staircases to restrict pet access. Installation is quick and easy and no drilling or tools are required! Being 42” tall, it is the perfect fit to corral large, active pets from accessing certain areas in your home. Installation is quick and easy and no tools are required! The two-way door features a unique one-handed design with Pressure-Plus Technology, which forces additional outward pressure on the heavy duty steel frame to maximize gate stability after each and every use. 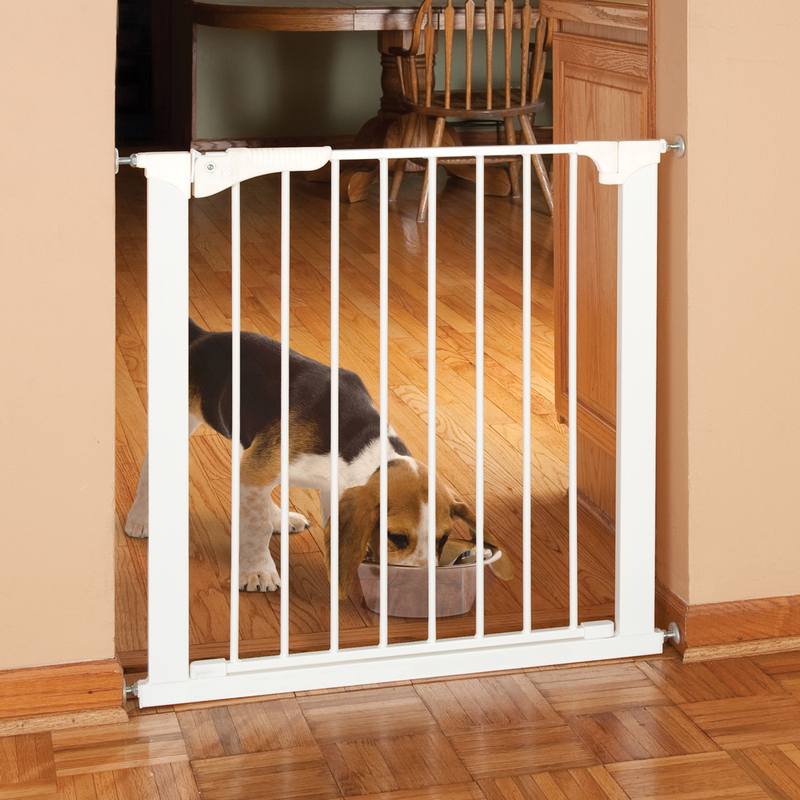 The Command Pressure Gate series has been the gate of choice for pet parents for over 20 years.